Sandbag weirs are often constructed to measure seepage amounts, allowing dam operators to accurately monitor conditions. 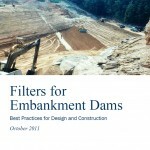 When a dam develops a defect, it often takes very little time before that defect evolves into a full-scale failure mechanism and threatens complete breaching of the dam structure. 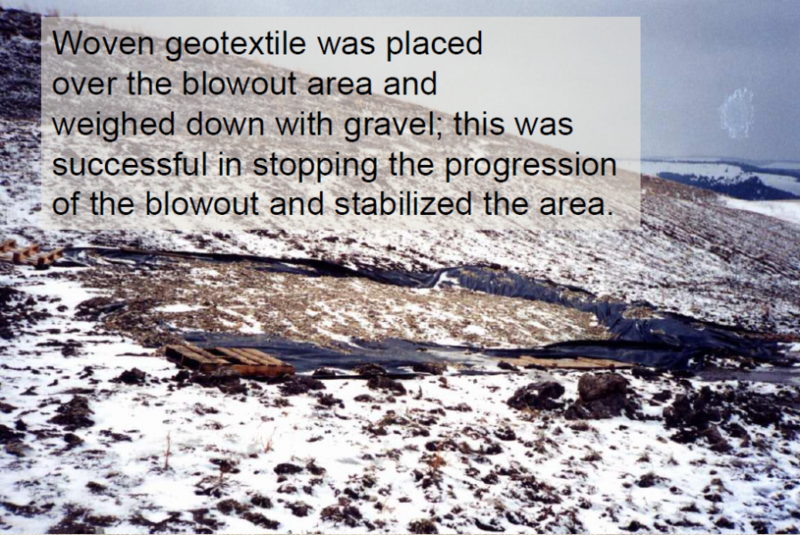 However, if dam owners are knowledgeable about intervention strategies and take appropriate emergency action, a catastrophic breach can often be avoided. 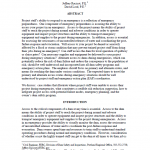 For this reason, severity of the situation and decisions about remedial strategies should be evaluated thoroughly, yet quickly after learning about the potential failure. 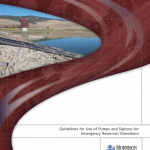 There are five essential steps involved in emergency reaction to a dam crisis: (1) Preparation, (2) Assessment, (3) Monitoring, (4) Response, and (5) Post-Action Documentation and Follow-Up. 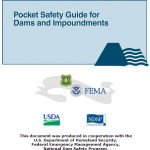 One of the most important actions to successfully intervene during the failure of a dam is to plan and prepare for various potential failure modes before warning signs are even observed. 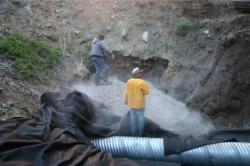 Time is usually of the essence during a dam failure emergency, and planning ahead is the best way to expedite the dam repair procedure. 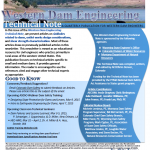 Every dam owner should include detailed instructions on how to initiate such intervention processes in their Emergency Action Plan, in addition to relevant documents like as-built drawings, operation and maintenance manuals, and inspection reports. 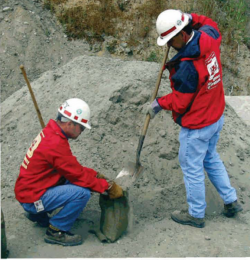 It is also good practice to contact local contractors that may possess heavy machinery or necessary equipment beforehand and communicate what services may potentially be required of them in the event of a dam failure. This will make quick response possible and limits the number of miscommunications that will happen in the heat of the dam emergency moment. 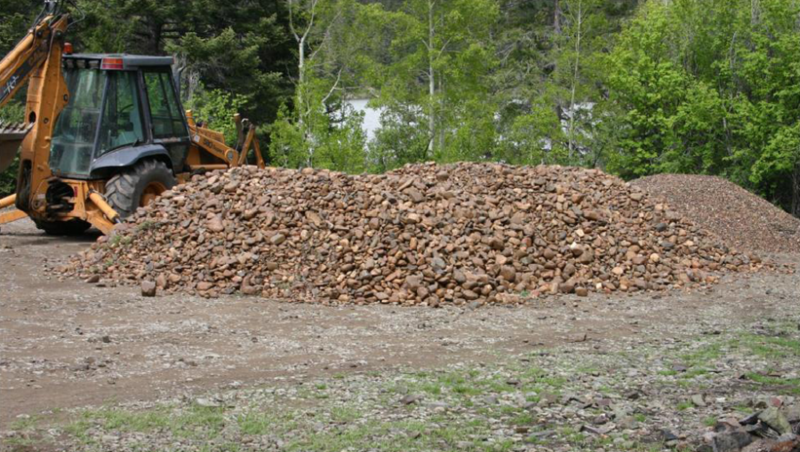 Stockpiling gravel, sand, and other remedial materials on-site can be another important step to minimizing the time between identification of the problem and beginning to work on a solution. This allows materials to be applied directly to the dam when needed and eliminates the possibility of not being able to obtain the needed resources in time to fix the problem. 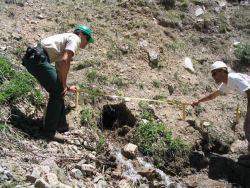 Once a problem is identified at a dam site, it must be thoroughly assessed to determine exactly what type of crisis the dam owner is working with. The mode of failure, progression of the defect, and potential threats to public safety are all questions that must be answered quickly and accurately. Correct procedures outlined in the Emergency Action Plan should then be followed accordingly. An efficient chain-of-command should be established, and the appropriate parties and authorities should be notified of the situation. 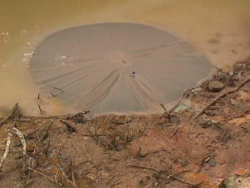 This includes informing those in areas of potential hazard downstream of the dam. 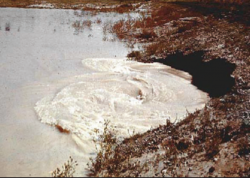 Procedures for alerting and/or evacuating downstream areas should be outlined in the Emergency Action Plan. It is also crucial to establish baseline conditions of the failure mode, as well as a way to measure their progression on a regular basis. 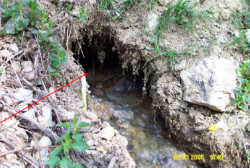 Marking levels where sloughing occurs, installing weirs to measure seepage, and collecting readings from observation wells are examples of monitoring conditions for various failure modes. 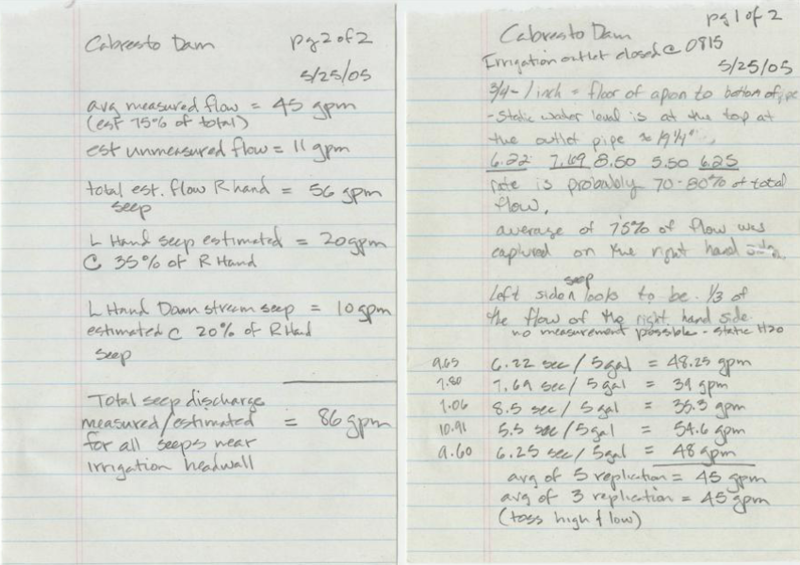 A protocol for regularly monitoring conditions at the dam should subsequently be established and the results documented. Visual, in-person inspection is typically most effective as it provides a mental picture for future reference, and the person can get a “feel” for how serious the problem really is. Good descriptions, data recordings, and photos should be taken and kept for analysis. Each person on site should be thoroughly briefed and updated on any changing conditions. Ideally, conditions will be observed to be steady or improving. If this is the case, repair oriented actions should be taken to try to fix the problem before it develops. Time is not as crucial of a resource in this instance. However, if conditions are noticed as becoming worse, emergency intervention options should be analyzed and implemented as soon as possible. Continuous, in-person monitoring should also be implemented in these situations. If the situation becomes too dangerous, monitoring protocol should be altered to keep personnel in safe conditions. If efforts continue overnight, ensure there is adequate lighting on the dam structure to enable continued monitoring and keep workers safe. 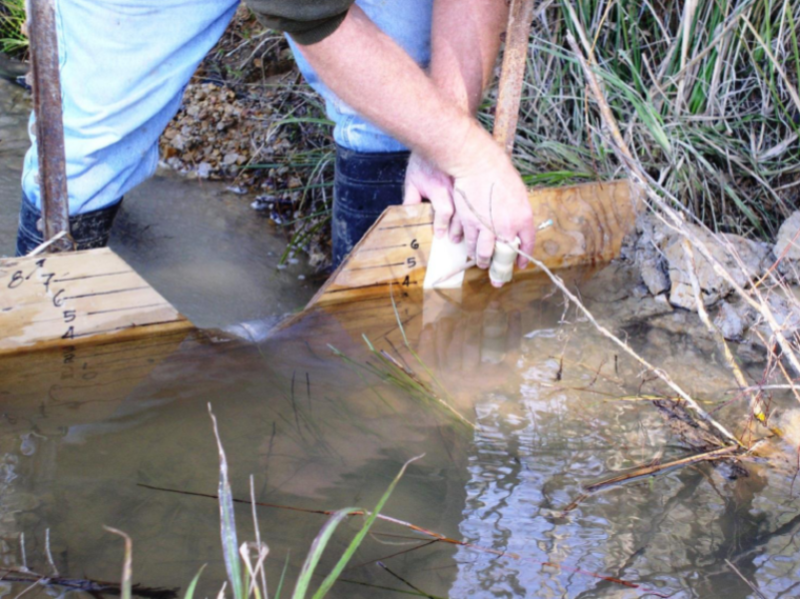 Depending on the condition of the dam determined through monitoring, an appropriate response should be chosen and enacted. 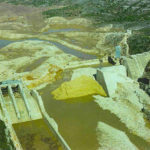 When considering what response to make to the emergency, public safety should be the number one concern, followed by downstream property and lastly, the dam itself. Typically, the best action for each of these three concerns will be the same response, but it is important to remember that protection of human life is always the number one concern. 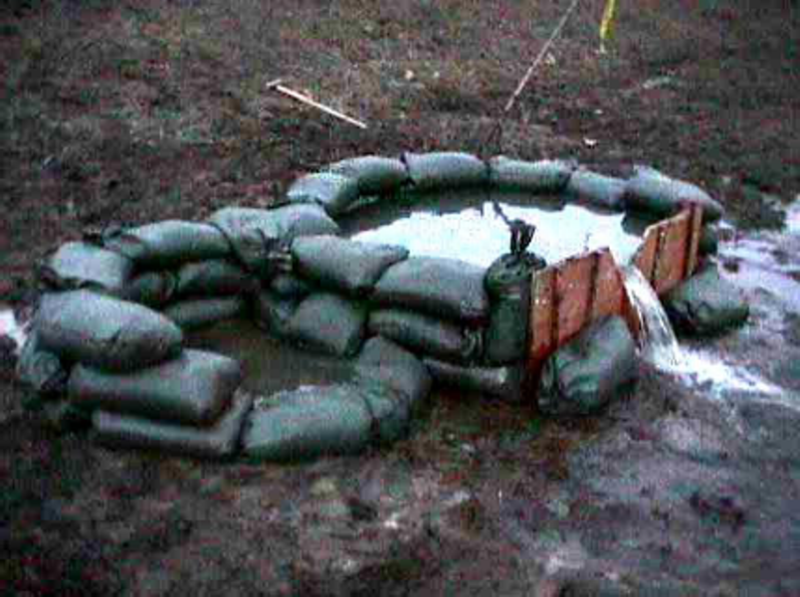 Sometimes damaging the dam structure will be the safest response, as in the case of a controlled breach. 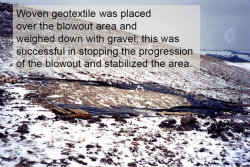 Regulatory and resource agencies should be contacted and notified regarding the situation. As mentioned before, if downstream populations are at all in possible danger, evacuation efforts should be initiated. 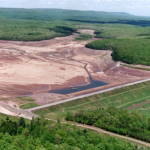 In almost all cases, reservoir drawdown processes should be commenced as soon as possible to try to relieve the hydraulic loads acting on the dam. 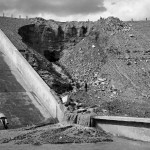 If the condition of the dam is judged to be significantly deteriorating, emergency actions should be taken. 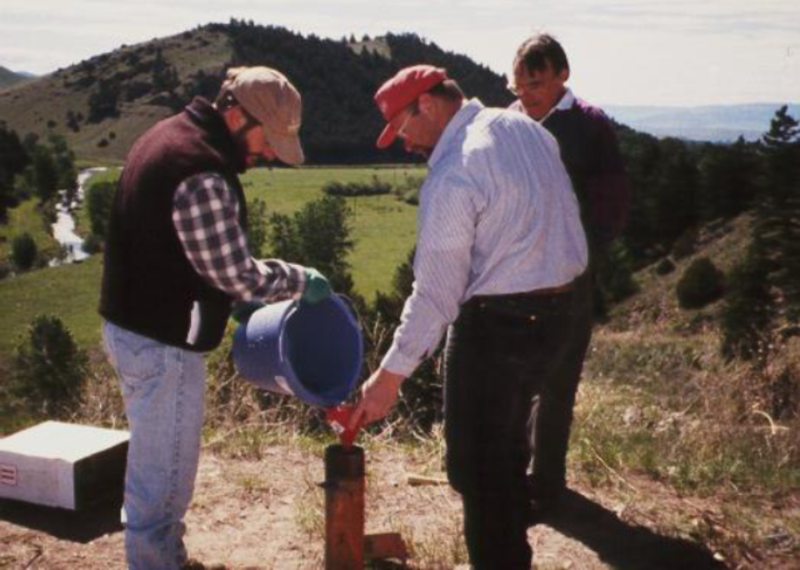 This is when having various tools and materials set aside becomes very valuable. 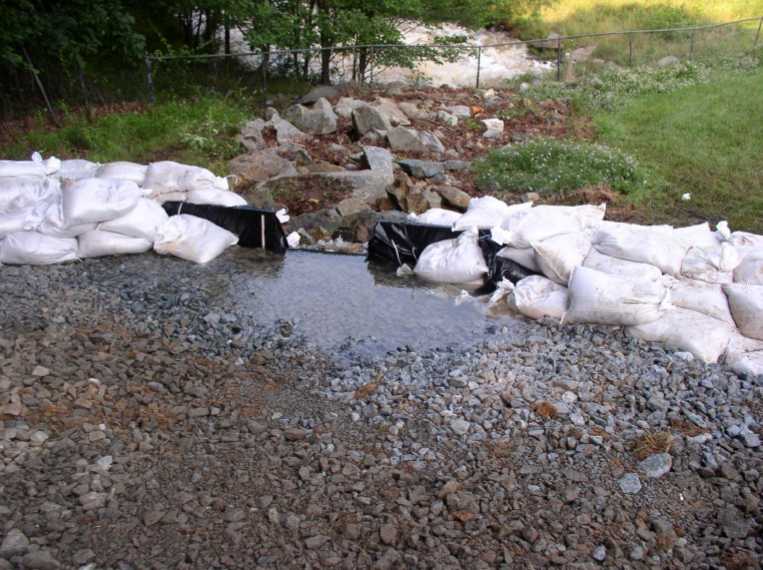 Actions such as using sandbags to increase freeboard and prevent overtopping, using riprap to prevent erosion to the dam structure, or applying a geotextile filter fabric to combat piping are all examples of emergency intervention techniques that can be used to try to save a dam from a total failure. 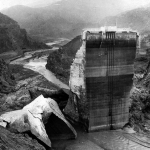 In some instances, a dam incident will have progressed too far to realistically expect an emergency intervention to successfully prevent failure until it is noticed. Cases such as this warrant that actions be taken to delay a breach as long as possible, in order to provide as much time as possible for emergency procedures and evacuation to be enacted downstream. Being familiar with the various intervention techniques prior to a dam emergency facilitates an appropriate and timely response. 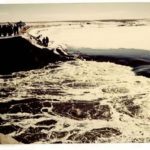 It is also important to ensure that any intervention actions will “do no harm”, as some actions could accelerate failure of the dam. After the emergency situation has been resolved, documentation of the situation and actions taken should be developed as soon as possible. 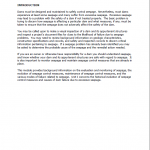 This should contain the conditions observed and any responses made throughout the entire emergency timeline. 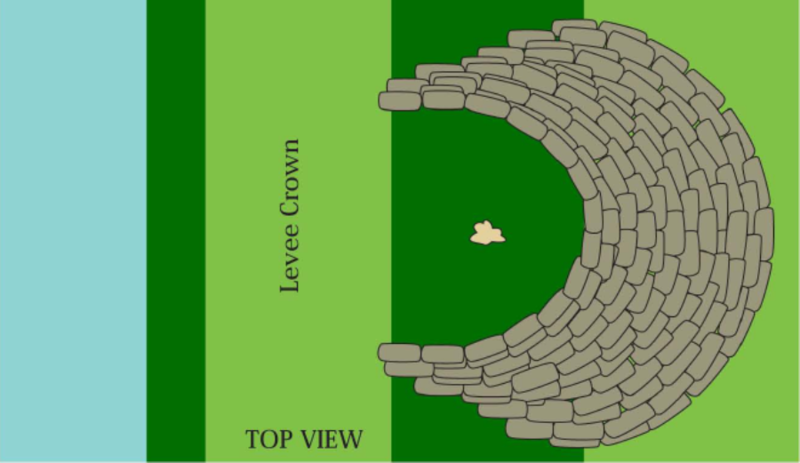 It should also be as descriptive as possible, and contain pictures, sketches, and any relevant measurements or data taken. 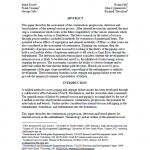 The report should also recommend any further actions, if deemed necessary. These could include inspections or further repair of the structure. 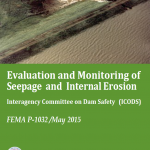 Copies of this report should be provided to the dam owner as well as all relevant dam safety agency personnel. 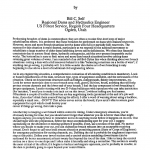 (1) Cox, C.W., Leone, D.M. (2006). Dam Emergency Response Suggestions for a Dam Safety Engineer’s Toolkit and Checklist. ASDSO Annual Conference. 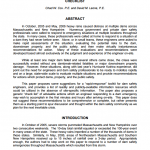 Boston: Association of State Dam Safety Officials. (2) FEMA. (2005). FEMA Dam Failure Seminar. 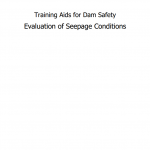 Training Aids for Dam Safety – Evaluation of Seepage Conditions. Diagram showing many different types of potential dam failure modes. 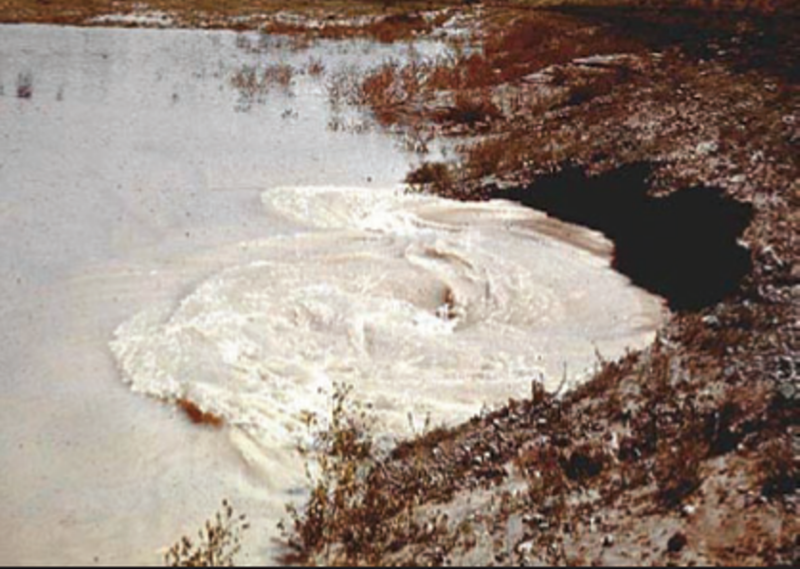 Whirlpools on the upstream side of a dam is a sure sign of very advanced piping failure. 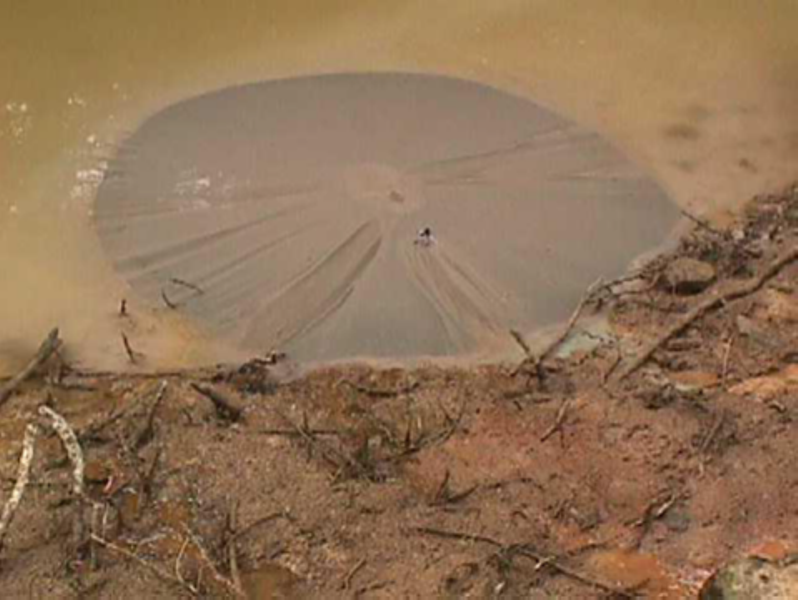 Example of a sand boil. This is a telltale sign of seepage and developing piping. 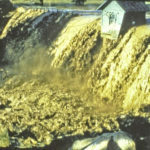 Severe example of a sand boil and seepage with significant sediment transport. 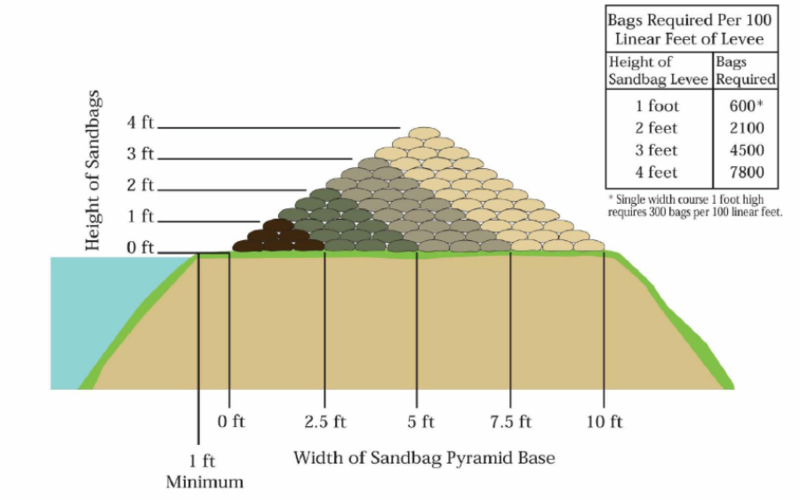 Diagram of constructing a sandbag-ring dike around a sand boil. There should be a minimum of 2 ft. radius from boil to edge of ring dike. Guidelines for proper sandbag levee construction and planning for amount of sandbags needed. 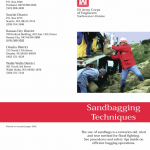 This two-member team uses correct positions for sandbag filling. 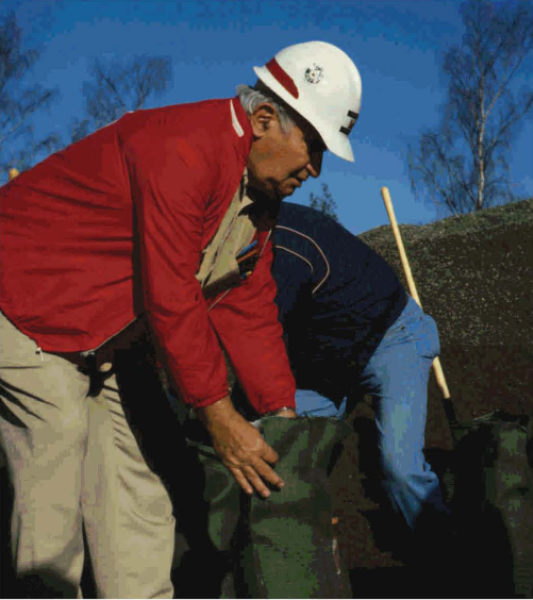 Veteran flood engineer Ernie Sabo demonstrates that the sandbag should be two-thirds full, folded at the top. 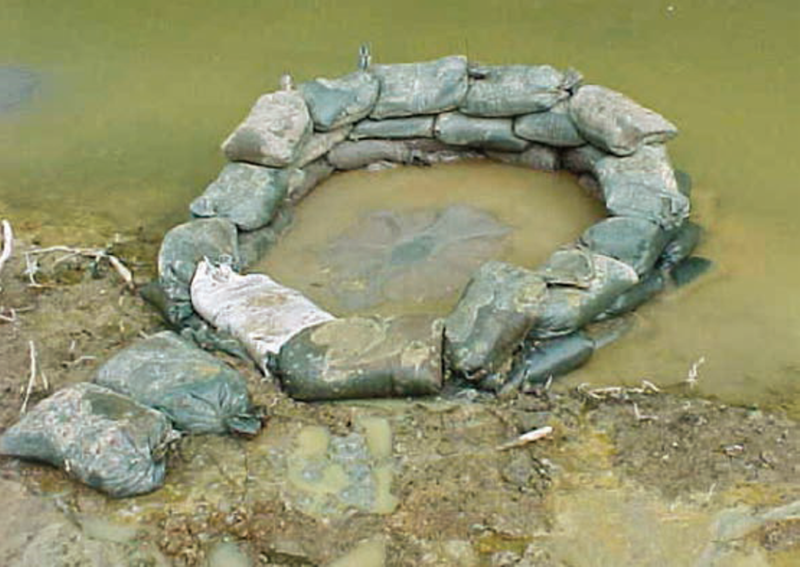 Sandbag ring constructed around boil to combat seepage and sediment loss. 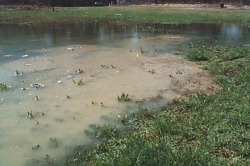 Example of a weir looking toward seepage location. Water outflow onto rock prevents erosion. 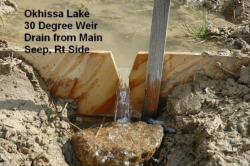 Example of weir showing markings for measuring seepage conditions. 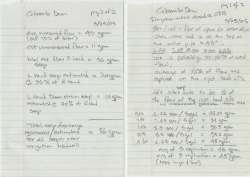 Example of detailed recordings and calculations of seepage flow quantities at Cabresto Dam (Photo source: Deb Miller). Example of dye testing at Willow Creek Dam, MT. 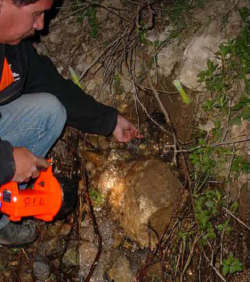 Fluorescent green dye was found to be effective, but red dye was not detectible. Ranch had key remedial supplies on hand and labor necessary to install temporarily fix Powell Dam. An example of a sandbag ring and V-notch weir to measure seepage flow at Salt Fork Dam. 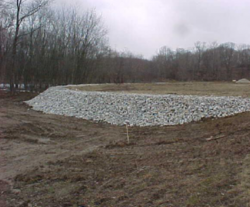 View of a weighted filter berm constructed on the downstream slope of Salt Fork dam. 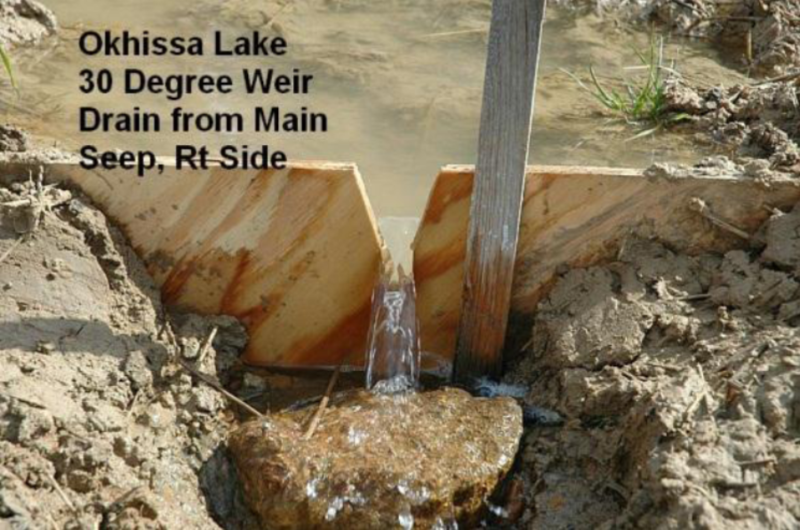 Picture of seepage and developing piping at Cabresto Dam (Photo source: Deb Miller). Accurately measuring seepage void to monitor changes in size at Cabresto Dam (Photo source: Deb Miller). 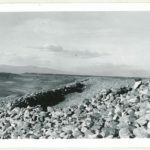 24-hour surveillance at Cabresto Dam. Village volunteers cover the night shift (Photo source: Deb Miller). Gravel and drain rock are hauled & stockpiled on site at Cabresto Dam (Photo source: Deb Miller). 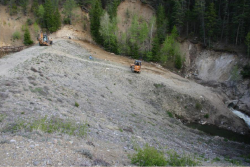 Photo of grading for equipment access to seepage location at Cabresto Dam (Photo source: Deb Miller). 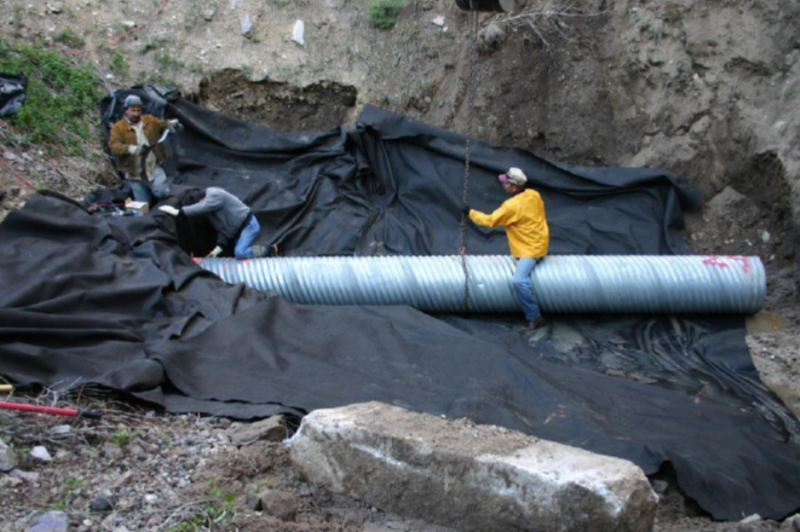 Placement of filter fabric and a corrugated metal pipe as a new outlet at Cabresto Dam (Photo source: Deb Miller). Placement of gravel over the seepage location under the filter fabric at Cabresto Dam (Photo source: Deb Miller). 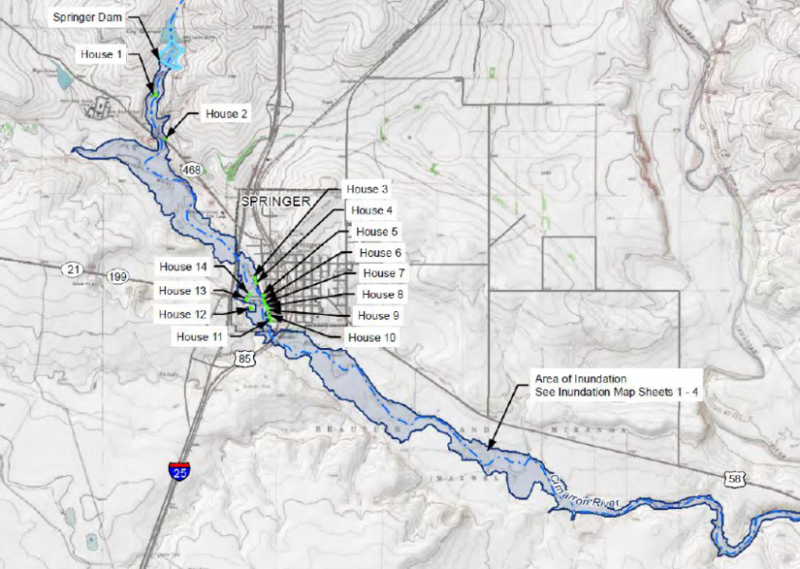 Example of an inundation map for Springer Reservoir, New Mexico. 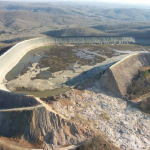 Paul G. Schweiger presents an introduction to inspecting and evaluating dams as part of the Association of State Dam Safety Officials On-Demand Webinar series. Blackhawk helicopters dropped 1,000 lb sandbags on the spillway to divert the flow away from erodible portions of the structure and alleviate severing head-cutting at Clausen Springs Dam. 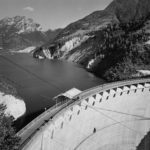 Will You Be Able to Access Your Dam During Emergencies? 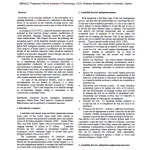 Guidelines published by Morrison Maierle, Inc.